After spending some time on Mysql backup script, I realized that the backup for Mysql only comes with Enterprise Edition of Mysql. I came across Galera which provides 1 and 2. Also, during my search, I came across the open source backup solution for MySql from percona which will provide for item 3 on the list above. So based on the above, I have come up with a docker build file to satisfy 1, 2 and 3. You can find the project on GitHub. We got to map the ports to different local port as we are all running in the same host machine. If the containers are running on different host machine, there is no need to map to different local port. Just do a 1:1 mapping of the actual ports. 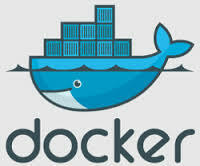 docker exec -t nodea mysql -e "create user 'username'@'localhost' identified by 'user_password';"
docker exec -t nodea mysql -e "create user 'username'@'192.168.0.0/255.255.0.0' identified by 'user_password';"
docker exec -t nodea mysql -e "grant all on *. * to 'username'@'192.168.0.0/255.255.0.0';"
docker exec -t nodea mysql -e "grant all on *. * to 'username'@'localhost';"
No Comment to " Docker Galera Image for Mysql clustering Active-Active with backup solutions "